Popularly known as the City of Gates, the historic city of Aurangabad awaits Zostelers now! Move over Ajanta and Ellora Caves, for Aurangabad has a lot more to offer. Yes, even to backpackers! To prove our point, let us walk you through some super exciting and engaging things you can do in the city. Holding majestic teal-coloured waters, the Lonar Crater Lake was created when a meteor hit the surface some 5,00,000 years ago. The lake remains unknown to the mass and is hence rarely visited by people. The 15 ancient temples which are now more or less in ruins surround the lake; as if they’ve been protecting its sanctity for centuries. What’s even more interesting is the fact that although it is a lake, its water is much saltier than seawater itself. Holding mythical importance, the lake is said to have been named after the town Lonar, where Lord Vishnu defeated a demon named Lonasura. The lake also finds mention in ancient Hindu scriptures, making us even more curious about all it has quietly witnessed. The trek to this hidden beauty involves walking through a lush forest and picturesque rocky terrains. However, the trek can be a little tricky due to its slippery and rough passages, so don’t forget to put on your best trekking shoes! The lake is nearly 114 kms from Aurangabad and takes over 3 hours to reach. So, if you plan to be there, make sure you spare a day for the lake itself. Believe us, it’ll be worth it. 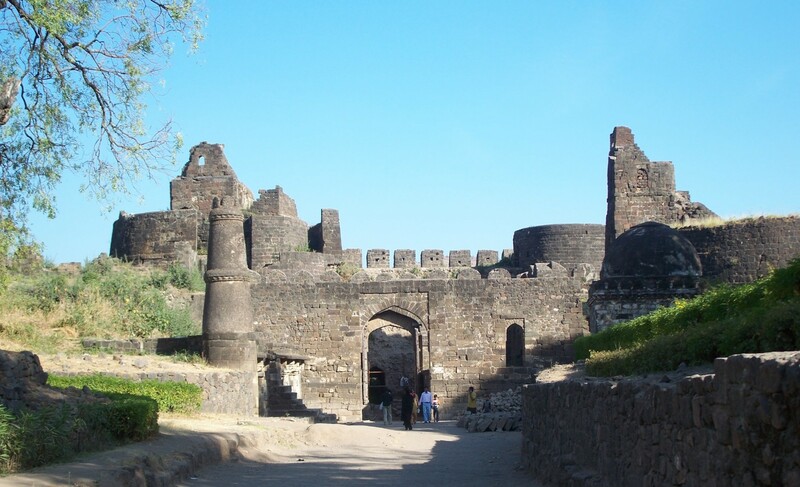 The Daulatabad Fort has been hailed for its excellent military strength. Never conquered by any military force, this gigantic structure was built on a 200-metre high hill way back in the 14th century. Designed to mislead the enemies, there are many dark passages in the fort that adventurers love to explore. For those who love mini treks and marvellous views from the top, this fort is worth a go! The fort is open from 8 am to 6 pm and will take nearly two to three hours to explore. Bibi Ka Maqbara or the Tomb of the Lady was built by Aurangzeb’s son, Azam Shah, in the memory of his late mother. Known popularly as the Deccan Taj Mahal, it was built in just 7,00,000 INR, whereas the Taj Mahal in Agra, which it majorly resembles, was built for a staggering 32 million INR. The monument hosts the Mughal style of architecture and features intricately designed stone screens, picturesque galleries, and a spellbinding dome interior. 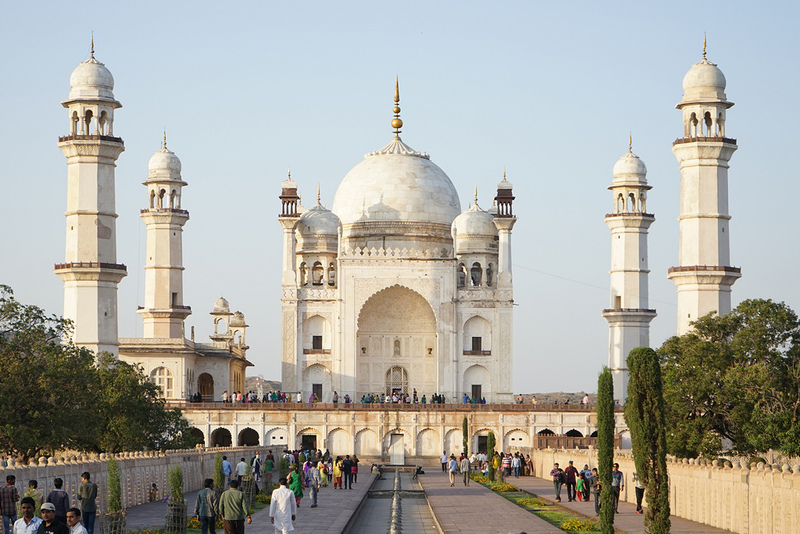 Watch the sun go down at Bibi Ka Maqbara, as the oranges and pinks of the sky reflect on the white marble. And when the moon takes over, treat your eyes with a spectacular view of moonlight slivering the whites, putting the monument aglow. UNESCO world heritage sites, the Caves of Ajanta and Ellora define history and art in themselves. Attracting visitors from all over the world, they make for a must visit. 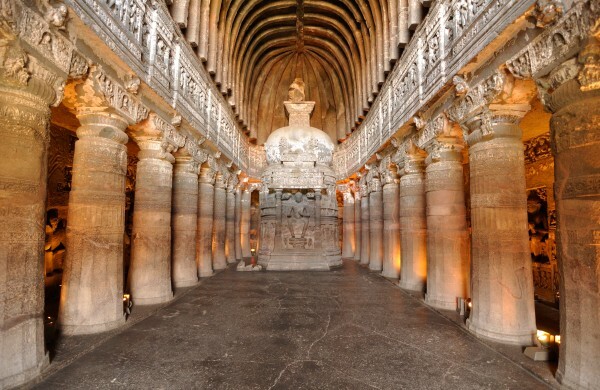 Built sometime during the 2nd century, Ajanta caves comprises of 30 rock-cut cave monuments dedicated to Buddhism. With rock sculptures and paintings aplenty, the cave is rendered exemplary for homing the most ancient Indian art. Situated 110 kms from the city, Ajanta lies amongst lush green patches of land which accentuate the beauty of the 26 mini-caves that it holds. For art and history lovers, Ellora Caves is the place to be. Exhibiting the finest and oldest paintings recorded in Indian history, the caves date back to the 6th century. 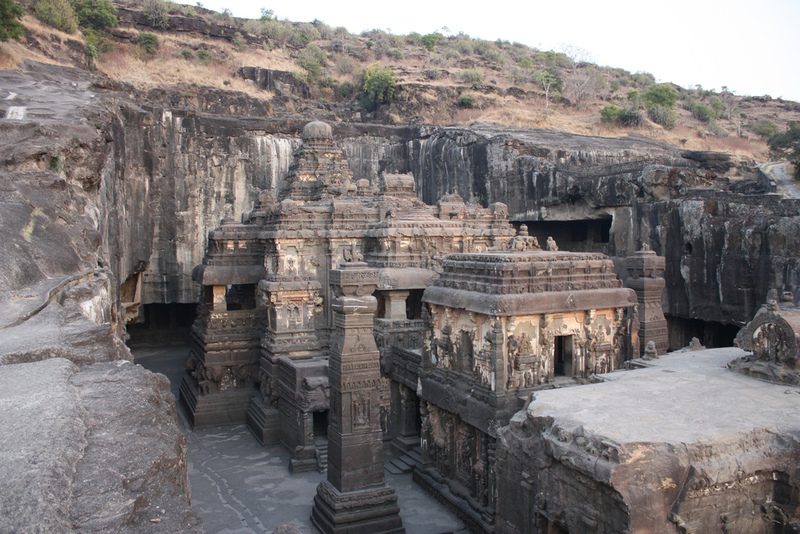 With over 100 caves on site, the maximum number of caves are Buddhist, Hindu, and Jain. These caves find a place in mythology as they home deities of the respective religions inside. For this reason, the caves served as temples, monasteries, and pilgrim sites in the olden times. 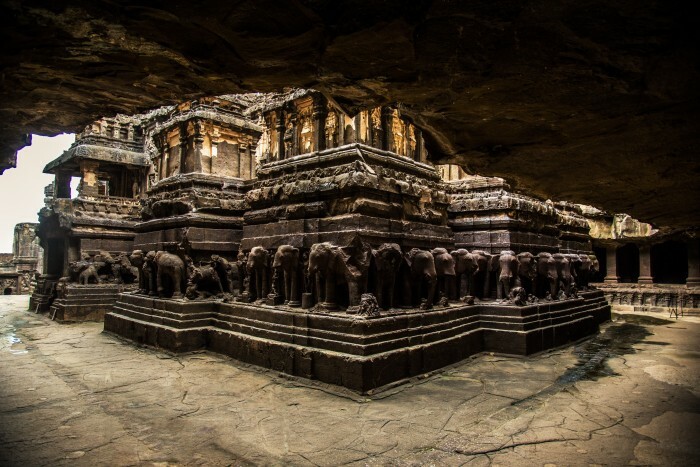 The Kailasa temple inside cave number 16 is particularly famous. Carved out of a single rock, the Hindu temple has left he archaeologists drooling over its sculpting and history. One of the finest examples of Indian architecture and artistry, the temple will not fail to stun you. 29kms from Aurangabad, the caves open at 6 in the morning and close at 6 in the evening. 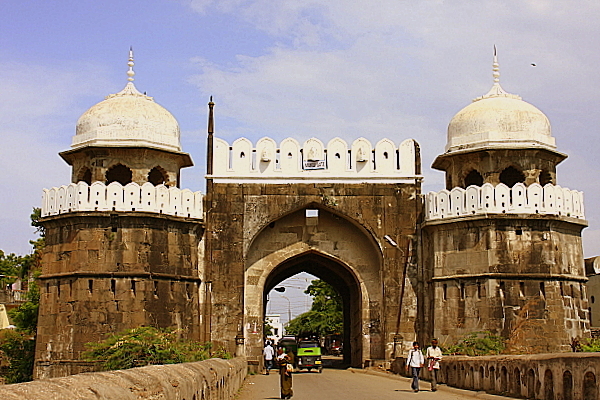 Originally, Aurangabad had 52 gates, with some history or local relevance linked to each one of the gates. While only 13 gates survive now, the Bhadkal Gate is the oldest surviving gate in the city. It is also the biggest. Other famous gates include the Delhi gate, Mecca gate, Paithan gate, Roshan gate, and Jalna gate. Each of these gates is unique in architecture and hold historical significance. To know about the stories about the gates, try asking the locals and we’re sure you’ll stumble upon something interesting! Aurangabad has a total of 4 museums, the biggest one being the Chhatrapati Shivaji Maharaj Museum. Other ones are the History Museum, Matushree Kasuhalya Purwar Museum, and the museum inside Daulatabad Fort. A haven of Mughlai and Dakhni (Deccan) cuisine, you’ll easily find toothsome food in the city. 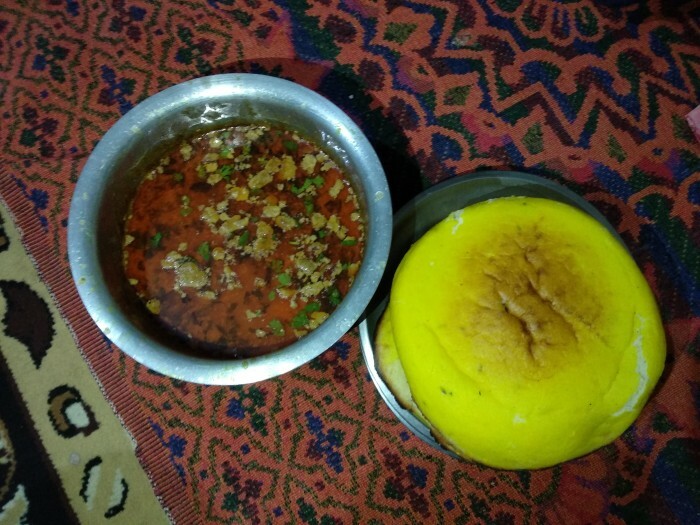 However, it is especially famous for Naan Qalia, a delicacy devoured by most travellers who end up in Aurangabad. It is a mutton delicacy made in Indian spices, served with a special puffed naan. Tahari, an authentic rice dish almost exclusive to the city is another must-try dish. Another tourists’ popular is the range of paans available at Tara Paan Centre. If you get the chance, do also try the local Mughlai food, which is easily available throughout the city. 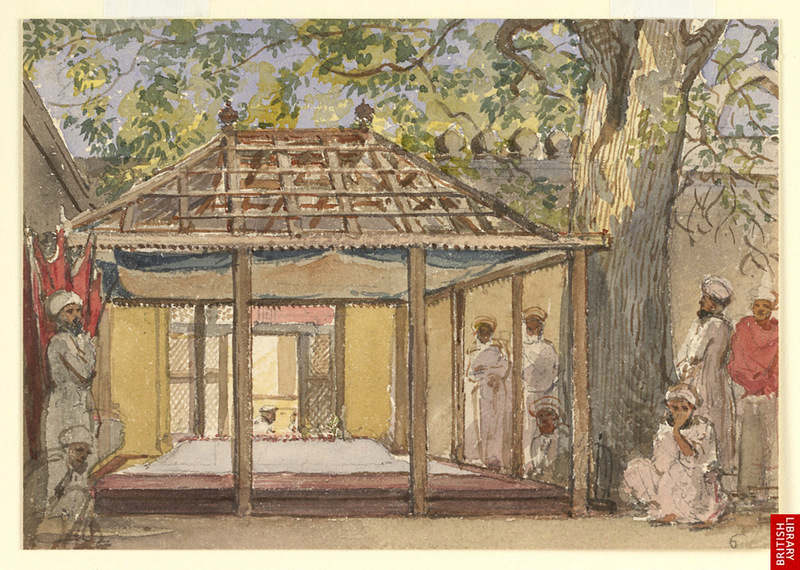 Paithani and Himroo artwork, often used in Indian sarees, originated in Aurangabad. To date, you’ll find many artisans and workshops dedicated to making Himroo shawls, Paithani sarees, and more, keeping the art alive and popular. As you know by now, you’ll need more than just the weekend for Aurangabad. With all the history, fascinating monuments, sumptuous food, and one-day getaways, a trip to the city should be on your list and now! The cherry on the cake is the uber colourful and jazzy property of Zostel Aurangabad, which will leave your heart swaying in happiness.